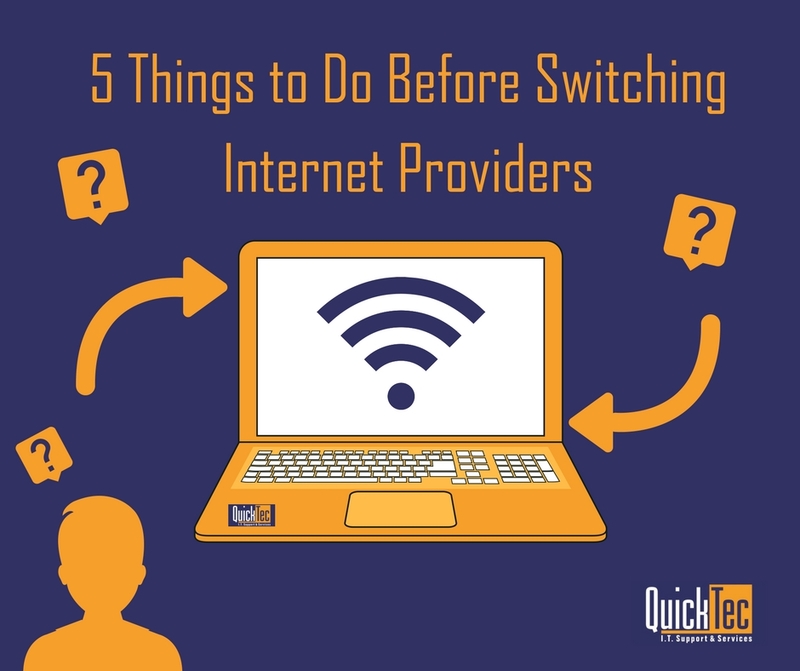 There are several reasons why you may be interested in switching your Internet Service Provider (ISP) for your business. You may want faster speeds, you have found a deal that better suits your needs and budget, you are unhappy with your current provider’s customer service or you may want to transfer from a cable connection to Fibre. Whatever the reason, there are several important steps to take before making the switch for your business. Review your existing contract before switching| Some Internet Providers have early termination fees or require a certain amount of notice. Research your bundles You can get Internet and Phone bundles such as Voice Over IP (VOIP) service that may save you money on line rental. Make sure public IPs that your business requires are available before switching provider. Requesting and assigning public IP addresses can take some time with some providers. Be aware that public IPs can add extra monthly cost. Maintain your original Internet connection if possible for at least a month so you will still have internet if something goes wrong during the migration. However, some Internet providers will use the same infrastructure to deliver broadband so it is often not possible to maintain multiple providers during a switchover period. Before deciding which Internet provider you want to switch to, contact your IT Support company. They can advise you accordingly on technical matters relating to the switch. They will have to assist you with the move for things like DNS record changes, Firewall settings may need to be changed, your VPNs may need to be updated, your ISP may not be able to offer you a fixed IP or a block of fixed IPs.